Tsunamis are a constant threat to the coasts of our world. Although tsunamis are infrequent along the West coast of the United States, it is possible and necessary to prepare for potential tsunami hazards to minimize loss of life and property. Community awareness programs are important, as they strive to create an informed society by providing education and training. This video about tsunami preparedness along the West coast distinguishes between a local tsunami and a distant event and focuses on the specific needs of each region. It offers guidelines for correct tsunami response and community preparedness from local emergency managers, first-responders, and leading experts on tsunami hazards and warnings, who have been working on ways of making the tsunami affected regions safer for the people and communities on a long-term basis. This video was produced by the US Geological Survey (USGS) in cooperation with the California Emergency Management Agency (CalEMA), Oregon Department of Geology and Mineral Industries (DOGAMI), Washington Emergency Management Division (EMD), Marin Office of Emergency Services, and Pacific Gas and Electric (PG&E). Get Flash Player (free download) to view this video. This report is presented in Flash; the latest version of Flash Player or similar software is required to view it. Get Flash Player (free download) to view this video. 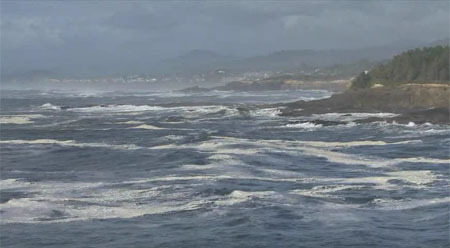 Loeffler, Kurt, and Gesell, Justine, editors/cinematographers, 2010, Tsunami preparedness along the U.S. West Coast: U.S. Geological Survey General Information Product 105 (video).